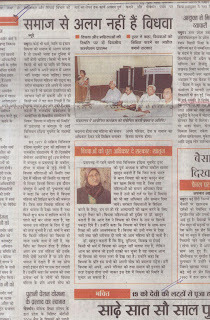 Regional Consultation on “Social Stigma of Widow Women in India” was held from 6 – 7 April 2013 at the Rajkeeya Sangralay (nation Museum) Mathura, Utter Pradesh. The purpose of the seminar was to address the existing pathetic conditions of Widow Women living in Mathura and to mobilize Civil Societies working in Mathura to take up the issue as one of the prioritized issues to be dealt with relevant care and attention. 35 participants from different educational institutions, NGOs, Civil Society Movements and few active Political activists participated in the consultation. On the first day of the consultation, Mr. Istiaq Ahmed Khan, a senior member of Vigil Group, UP Region welcomed the participants and the Resource Team. Mr. John VM Juliana, Programme Manager, VIM briefly introduced about the Vigil India Movement founded by Dr. M.A. Thomas during the emergency period (1975-1977) with a vision to insist hope, fearlessness and struggle among the people in order to promote human rights culture and to bring equality and equity in India. 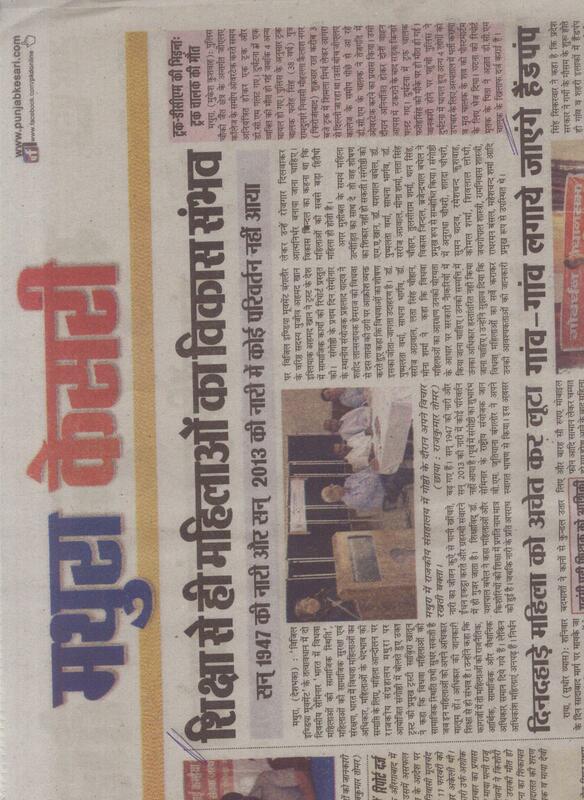 He also emphasizes the relevance of organizing this particular consultation at Mathura. The fact is that in India incidents of inhuman attitudes towards women are very high and there were several cases of violence against women have been reported from the remote village to the capital. If this is the plight of an ordinary women think of the status of widows and divorced women in India. It is disquieting to know that more than 40 million widows are living a dead life in India. Ironically more than 20000 widows are living in Mathura in which 90 percent of them are from Wet Bengal. They are denied of their basic rights and being ill-treated in the name of tradition and culture. Incidentally Mathura is housing large number of widows from various parts of India and their life cycle is traditionally isolated. Mrs. Sabira Khatoon, Former Trustee of VIM took a session on ‘Social Stigma of Widow Women in India’. She was briefly explained the Historical complexity in treating women in India. Mrs. Khatoon briefed that the word “Widhwa” is drawn from “Vidhi” and is known as “Vidhi ka Vidhan” in which it is assumed that Vidhwa is also wish of the creator. The God has created human beings and given them full freedom but we as human start practicing the evil culture and denying equal rights to women. Generally women are treated as second citizen by culture and tradition and they are not allowed freely to raise their voice for any concern. They are suppressed and oppressed by the society. The plight of Widow Women is too tragic. There are several customs and tradition which oppressed to be an isolated member of the society. Widows are leading isolated undignified life and where as in Mathura alone more that 20000 Widows are living in pathetic condition in temples and in streets. They are sexually abused and denied shelter, food and other basic amenities. She also mentioned that even today, despite of several legal provisions and the continuous struggle against the evil practice of “Sathi”, the society is practicing “Manusmriti”, which exploits women in several ways. The Widow Women has no rights to participate in social functions at home and at the society. Mrs. Pushplata Verma took a session on ‘Women Movement and Women Rights issues in India’. Mrs. Pushplata explained that Women Movement were encouraged by Leaders like Sarojini Naidu, Mahatma Gandhi and Ravindranath Tagore and now women movements are actively raising voice in all social cause even in difficult situation. Today women organizations are developing and they are raising their voices for cause of the women. Women empowerment is the result of their voice. Reservation in the Panchayat election is the glorious achievement of the movement where women will also take part in decision making process. Speaking on the rights of the women she told that property and marriage rights are there but the community or society has the upper hand and they force women not to come out for their rights. Mrs. Laxmi Gautam, NGO activist in Mathura elaborated that in about 40,000 widow women are leading their drastic life in Mathura and its surrounding areas. More that 90 percent of widow women are from West Bengal. The localities in Mathura, Brindhavan and its surrounding speaks Bengali very fluently that their own native language Hindi. These women are living in many temples, Ashrams and trusts. They are called ‘Dasi of Bhagwan’ but they are leading very miserable and isolated life. They are often exploited by the priest in the temples, ashrams and trusts, once they become old; they are thrown out of ashrams and temples. Finally they are begging in streets. She also mentioned that number of abortion clinics’ are increasing near Brindhavan. These widow women’s are forced to infanticide the babies in womb itself, failing to do so would be vanished. They are paid Rs.12/ for 3hrs or Rs.99/per day for singing Bhajan in the temples. A few NGOs have taken initiative to rehabilitate the widows but the execution part is in snail phase as the religious administrations are very strong in covering up all the crimes by the religious and political power. Quite interestingly, she has given contrasting statement about the Non-Bengali widows who are living in Mathura. There are quite a few numbers of widows (Non-Bengalis) in Mathura heading the family with family pride and dignity. At the end of the day the participants were divided in to two groups and they were assigned to discuss the Role of Civil Society in Protecting the Widow Rights. The government census should clearly collect the data of women in the family and in the ashrams, temples etc., in order to provide welfare schemes to them. NGOs, Civil Societies should organize regular awareness programme on Widow Rights and make the people to be known about the Human Rights Instruments. Empower Widow Women and make them to be independent social and economically rather than depending on Temples and Ashrams. Encourage re-marriage of Widow Women. Create employment opportunity for the Widow Women. 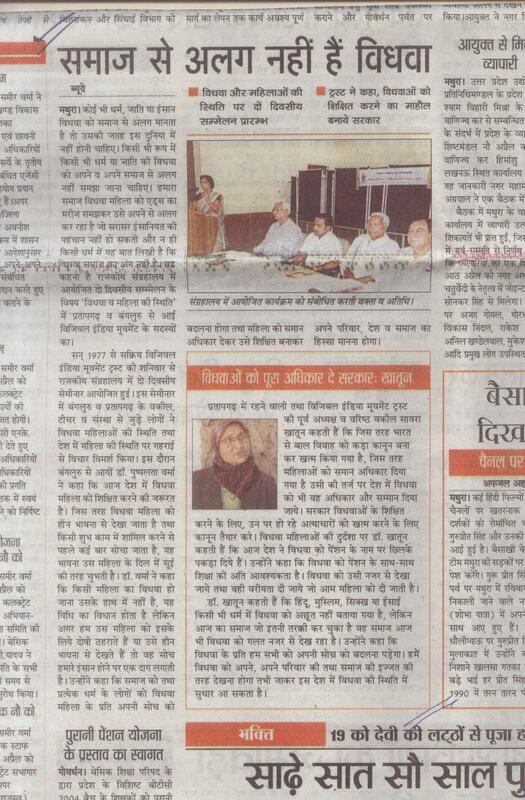 Formation of Widow Welfare committee in Mathura and other places where Widows are living in large numbers. Government should take care of the Children of Widows in terms of education, health and other services. In the second day Mr. John VM Juliana and Mr. Mujeeb Ahmed Khan, Convener of VIM, UP Region jointly took a session on “Convention on the Elimination of All Forms of Discrimination Against Women”. The UN instrument was explained in details and the Hindi version of the document is circulated among the participants. 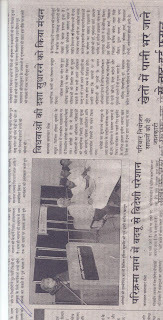 Dr. Anant Yadav presented a paper on “Rights of Widow Women in India”. While explaining the Rights of the Women, Dr. Yadav insisted that the problem of Widow Women will not be solved by law itself; it needs change in our thinking, attitude and the change in our social customs. Abusing and denying rights to widow women is a kind of mental disease the society has strongly seeded in the mindset of the male chauvinist society, which need to be cured. This may not be happened until and unless the victims should rise for their freedom. So, it is an impeccable task for the civil society organization to create awareness among the people to empower Widow Women in India. Women’s Social Security and Protection Mechanism: Mrs. Sadhna Bhargwa took a session and emphasized that there is inadequate social security for women in our country. Women are being harassed in all walks of life at home, at work place and at the public places. 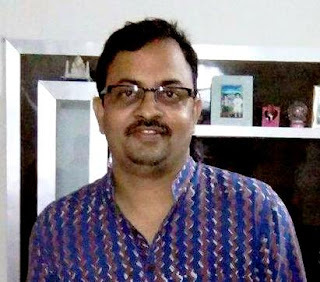 Sexual harassments and exploitation are increasing day by day and recent incidents on a running bus in New Delhi shook the country. Incidents of acid attacks, teasing, and trafficking are mounting fear on the common people to safeguard their girl children. The government should act immediately to regulate rigorous law and equip the law enforcement mechanism to contral the situation. At the concluding session the participants brought out the following statement to the Government and the society. Uphold the Rights of Women particularly the Widow Women in terms of social, economic, cultural and political advancement. Social responsibility of women should not be denied at any cost. Improve the Social Security measures by amending rigorous law to protect the women in India. Reservation policies for Widow Women should be strengthen and monitor that the reservation for Widow Women in all the departments are properly implemented. Widow women and their children should be taken care and make possible provisions to protect them from the customs and traditions. No Widow Women could be isolated at any point of time by the society and by the government. Develop and implement various welfare and rights based development programmes for widow women. Need regular seminars and consultations to create awareness among the people in order to promote and protect widows from all forms of discrimination. Civil Society should bring out the issues of Mathura to public, so that the people would support for the rehabilitation of Widows in Mathura. At the end of the consultation Mr. Mujeeb Khan thanked all the participants and Resource team and also requested the participants to report the issues to Vigil India Movement, so that the VIM National Office will take proper action through its urgent appeal to bring collective force in order to voice against all forms of discrimination against women particularly Widow women. 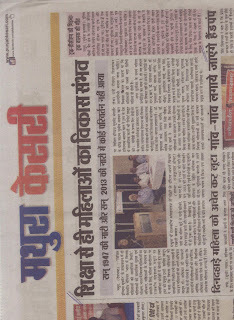 Mr. Mujeeb Ahmed Khan and Mr. Istiaq Ahmed Khan were coordinated the programme at Mathura. 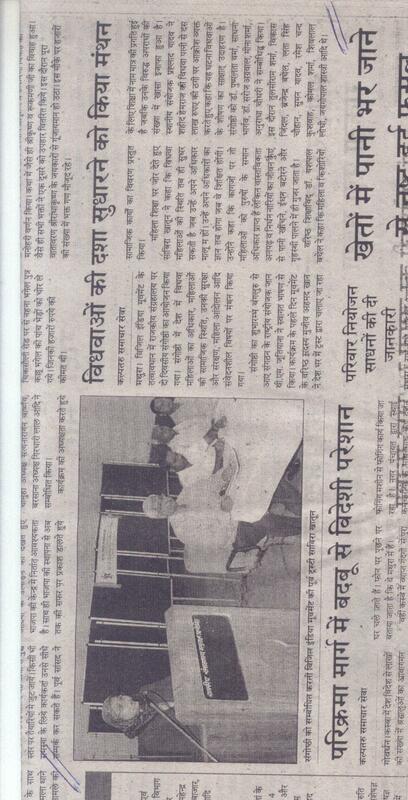 Mr. Than Singh and Mr. Prahlad Yadav served as local assistants for the programme.